The team brought a range of experience from agribusiness consultant, through dairy farmers, to supply teacher. They also had a wide travel experience, some having undertaken Rotary FE to other parts of the world. They clearly also brought great enthusiasm! At the welcome reception at Nanaimo Yacht Club, brief solo introductions were followed by a review of a truly charismatic project which converted a bus to a mobile medical/emergency coordination centre to meet needs of a remote Pacific island. This inspiring story showed how a multi year, multi club and multi sponsor project can define a real need and build toward a sustainable solution. Two Paul Harris Fellowships were awarded in New Zealand this week and the third project leader got his award at the Nanaimo presentation! The welcome by the Nanaimo hosts was praised by all the visitors and District Governor, Craig Gillis, who joined the group on its travels to Coombs, Cathedral Grove and Port Alberni. Hosting activities were a great mix of group and individual activities, walks, sails, wine and cheese and a general sharing of life and Rotary experiences. 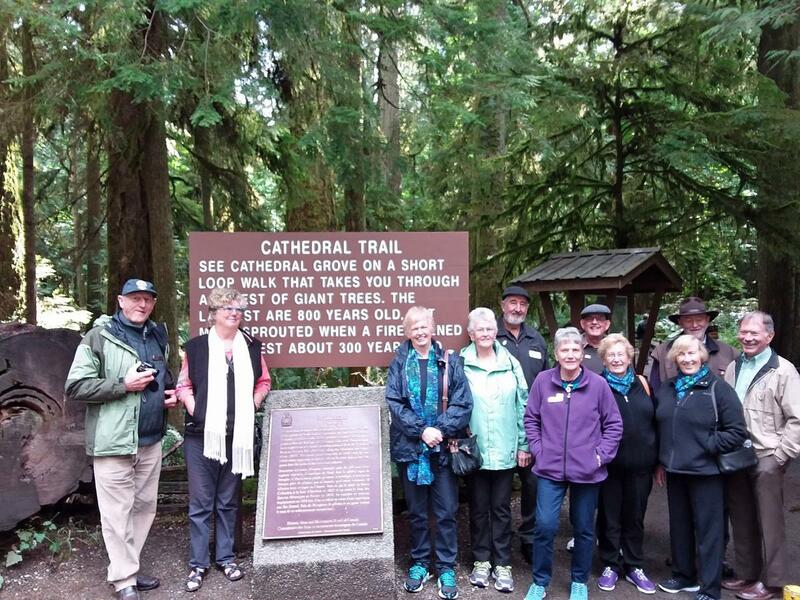 On September 14th the Nanaimo crew passed the guests to Victoria Westshore for the continuation of their experience. Everyone involved thanks Nanaimo North and friends for the effort, the welcome and the reputation they created.